Rent Bridal Car: Congratulation to Jeff and Eling! Congratulation to Jeff and Eling! Newly Wedded on 20 Sep 2014! Thank you for the great service on our wedding day! Edmund was very punctual and followed closely to the given itinerary. This is important for all weddings as any slight delay will affect the next event. thanks Edmund's experience on the road. for the shortest travelling time. Edmund is also very flexible in terms of arrangement. his services on our big day. who are looking for bridal car services. Congratulation to Kelvin and Joanne! Congratulation to Kelvyn and Amanda! 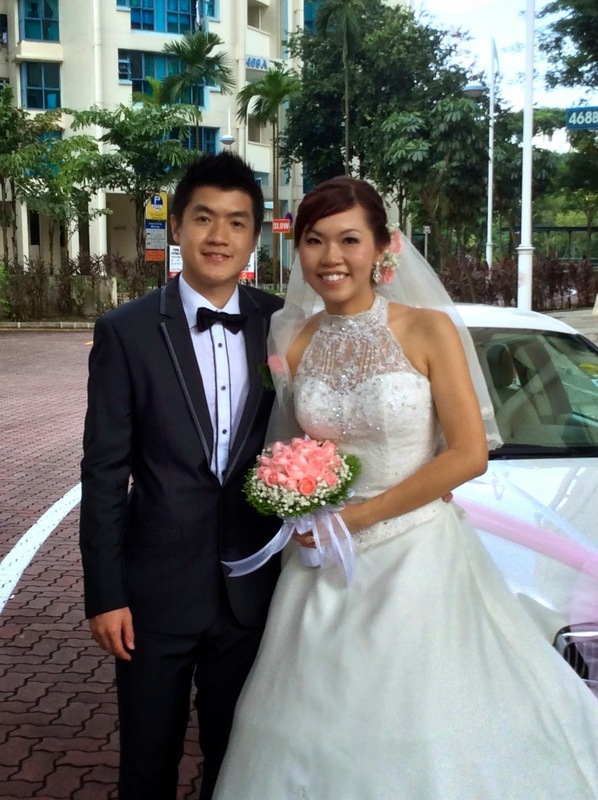 Congratulation to SiJie and Fiona!